134,000 164,000 sockeye have crossed Bonneville Dam which is more than 3 times the 10-year average. 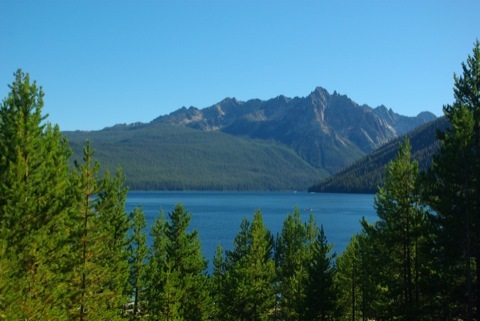 Most of those are heading to lakes in Washington State but a few are returning to lakes in Idaho’s Sawtooth Mountains. During the last two years Idaho saw exceptionally high returns of sockeye in comparison to many of the previous years where only a handful of fish returned. Sockeye, which are listed as endangered in Idaho, were once abundant until the dams on the lower Snake River were finished and the Idaho Fish and Game began deliberately eradicating them by using explosives because they were not seen as a game fish. When it became apparent that the fish were on their way to extinction the Shoshone-Bannock Tribe successfully petitioned the Fish and Wildlife Service to list them as endangered. Last year 833 were trapped in the Sawtooth Basin by the Idaho Fish and Game but their genetic variability is severely constrained by the bottleneck they went through during the previous decades. Idaho sockeye numbers cause for hope. Great to see as it seemed like the Redfish Lake population was doomed after getting down to the single digits a few years ago. Yes, 30,000 sockeye crossed Bonneville yesterday. I’ve been looking for more information about the eradication program but I couldn’t find an actual source online. In the book “Northwest Passage: The Great Columbia River”, William Deitrich tells how IDFG poisoned Stanley, Yellowbelly, and Petit Lakes then constructed barriers across the inlets to prevent recolonization by sockeye and other “unwanted” fish like northern pikeminnow (then known as squawfish) and suckers so that they could establish populations of Kamloops rainbow trout. 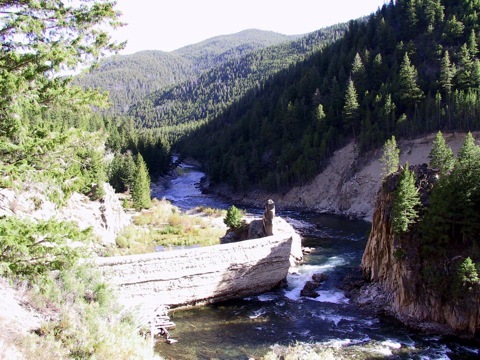 At Alturas Lake a diversion dam was built which blocked access to the lake by sockeye as well. I also remember taking a fish ecology class at U of I where the professor told us about additional attempts to use explosives at Lower Granite Dam to kill returning sockeye. Of course there was also the dam at Sunbeam which locals floated dynamite into and the IDFG later finished off. Nobody is really sure if the sockeye that began returning after the dam was removed were actually the same as those lost to the dam or not. I haven’t come across any references to that but as far as a baseline, a few years ago (before they carted the local ADF&G library off to Anchorage) I stumbled across an excellent description of surveys done of sockeye & kokanee in the lakes in the Sawtooths (including a map of the various lakes). It was in an old Bureau of Fisheries investigations report from somewhere around 1892 to 1895. It was more distributional and descriptive than quantitative. In that same series, there was also an intriguing description of a funded project to look for/inventory salmon in the Clarks Fork of the Columbia above Lake Pend Oreille(in 1892 if I remember correctly). There were no project results given yet in the report, but I assume they found none? That would be a good assumption because Metaline Falls, in Washington State, was probably a barrier to salmon migration. These increased numbers come directly from the BPA mandated spill. Please keep that in mind a politicans succumb to outside interests (BPA, Corp of engineers) they need all of our voices to protect our salmon. My father was an avid reader and he told me several years ago that the Sockeye that run to Redfish lake are, at the very least, hybrids. The Redfish Lake run, he said, was completely destroyed by the Sunbeam Dam. The sockeye that returned to Redfish Lake in the 60’s (or 70’s?) were planted Sockeye from BC. I do not know the actual facts. There could have been continued runs up other tributaries below Sunbeam and those genes could predominate the gentics of the present day run. But I have always had the impression that the Redfish Lake sockey are not pure. Any comments on this would be appreciated. Do you have any detail on this claim, and the reasons behind it? Not that I do not believe the statement, it is just a question of when, how and why. Do they get pretty spent out by the time they get upstream that far? I personally like sockeye better than king in a chromebright fish. Sockeye is also my favorite for a staple fish, although I love the first fresh spring king. Amazingly, not everybody prefers sockeye bright. When I was working in Bristol Bay years ago, a couple of guys brought their mother, an old Yupik woman, upstream from Manokotak and they seined sockeye out of a creek next to our camp – she picked out the males with the biggest humps and let the few bright fish go.